An Indian patchwork of rice and maize fields. “Once you’ve cloned a major gene in one crop, it is possible to find a counterpart gene that has the same function in another crop, and this is easier than finding useful genes from scratch” explains Leon Kochian, Professor in Plant Biology and Crop and Soil Sciences at Cornell University, USA, and Director of the Robert W Holley Center for Agriculture and Health, United States Department of Agriculture – Agricultural Research Service. Leon was the Product Delivery Coordinator for the Comparative Genomics Research Initiative of the CGIAR Generation Challenge Programme (GCP). The Programme set out in 2004 to advance plant genetics in a bid to provide sustainable food-security solutions. Between 2004 and 2014, GCP invested in projects to clone two genes and deploy them in elite local varieties. The first gene, SbMATE, encodes aluminium tolerance traits in sorghum; the work was a collaborative effort led by the Brazilian Corporation of Agricultural Research (EMBRAPA) and Cornell University, and gave rise to locally-adapted sorghum varieties released in South America and Africa. The second gene, PSTOL1, produces traits that improve phosphorus uptake in rice. This research was a collaboration between the Japan International Research Center for Agricultural Sciences (JIRCAS) and the International Rice Research Institute (IRRI). 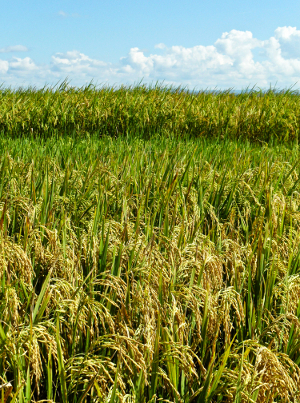 PSTOL1 has now been extensively deployed in Asian rice varieties. Aluminium toxicity and low phosphorus levels in acid soils are major factors that hinder cereal productivity worldwide, particularly in sub-Saharan Africa, South America and Southeast Asia. Globally, acid soils are outranked only by drought when it comes to stresses that threaten food security. Tolerance to high levels of aluminium and low phosphorus is conferred by major genes, which lend themselves to cloning. Major genes are genes that by themselves have a significant and evident effect in producing a particular trait; it’s therefore easier to find and deploy a major gene associated with a desired trait than having to find and clone several minor genes. Locating a single gene within a plant’s DNA is like looking for a needle in a haystack. Instead of searching for a gene at random, geneticists need a plan for finding it. The first step is to conduct prolonged phenotyping – that is, measuring and recording of plants’ observable characteristics in the field. By coupling and comparing this knowledge with genetic sequencing data, scientists can identify and locate quantitative trait loci (QTLs) – discrete genetic regions that contain genes associated with a desired trait, in this instance tolerance to aluminium or improved phosphorus uptake. They then dissect the QTL to single out the gene responsible for the desired trait. In the case of sorghum, researchers had identified the aluminium tolerance locus AltSB, and were looking for the gene responsible. Once the gene has been identified, the next step is to clone it – that is, make copies of the stretch of DNA that makes up the gene. Geneticists need millions of copies of the same gene for their research: to gain information about the nucleotide sequence of the gene, create molecular markers to help identify the presence of the gene in plants and help compare versions of the gene from different species, and understand the mechanisms it controls and ways it interacts with other genes. 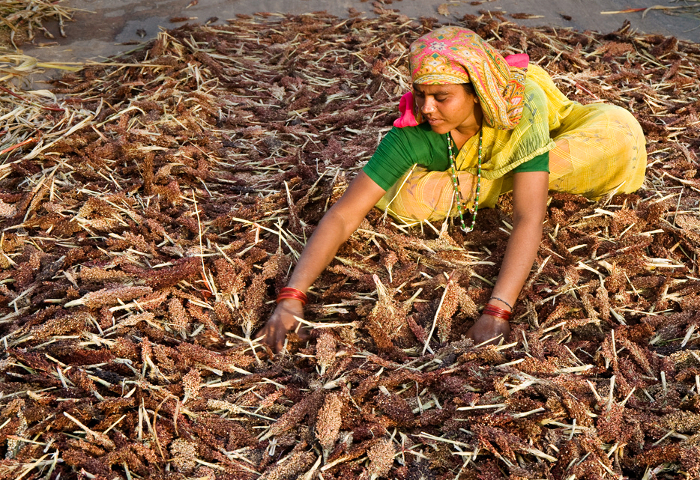 Drying the sorghum harvest in India. Sorghum was one of the simpler crops to work with, according to Claudia Guimarães. 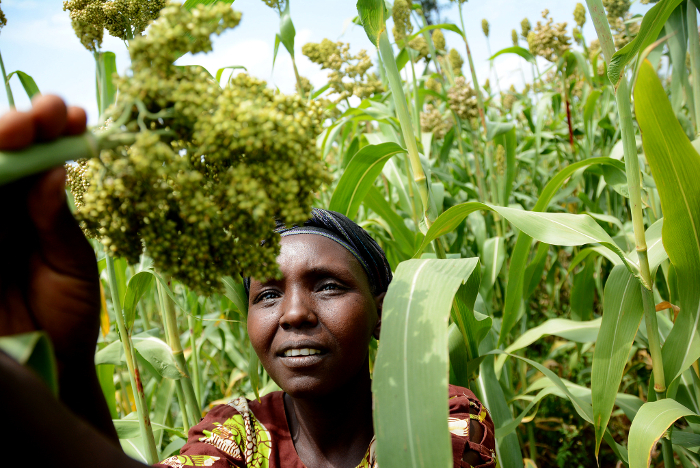 “Sorghum has a smaller genome… with clear observable traits, which are often controlled by one major gene,” she says. The first breakthrough was the identification and cloning of SbMATE, the aluminium tolerance gene in sorghum behind the AltSB locus. The next was finding a diagnostic marker for the gene so that it could be used in breeding. Harvesting rice in The Philippines. Once a desired gene is identified, a specific molecular marker must be found for it. This is a variation in the plant’s DNA, associated with a gene of interest, that scientists can use to flag up the gene’s presence. We can compare this process to using a text highlighter in a book, where the words represent the genes making up a genome. Each marker is like a coloured highlighter, marking sentences (genomic regions) containing particular keywords (genes) and making them easier to find. In molecular breeding, scientists can use markers to quickly scan hundreds or thousands of DNA samples of breeding materials for a gene, or genes, that they want to incorporate into new plant varieties. This enables them to select parents for crosses more efficiently, and easily see which of the next generation have inherited the gene. This marker-assisted breeding method can save significant time and money in getting new varieties out into farmers’ fields. Leon, who was also the Principal Investigator for various GCP-funded research projects, says that the cloning of SbMATE helped advance sorghum as a model for the further exploration of aluminium tolerance and the discovery of new molecular solutions for improving crop yields. Rice field trials in Tanzania. Aluminium toxicity is the result of aluminum becoming more available to plants when the soil pH is lower, and affects 38 percent of farmland in Southeast Asia, 31 percent in South America and 20 percent in East Asia, sub-Saharan Africa and North America. Meanwhile phosphorus, the second most important inorganic plant nutrient after nitrogen, becomes less available to plants in acid soils because it binds with aluminium and iron oxides. 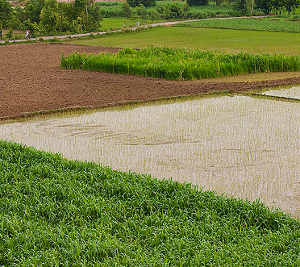 Almost half of the ricelands across the globe are currently phosphorus deficient. The research therefore has the potential for significant impact across the world. The GCP-funded scientists used markers to search rice and maize for genes equivalent to sorghum’s SbMATE. In maize they successfully identified a similar gene, ZmMATE1, which is now being validated in Brazil, Kenya and Mali. 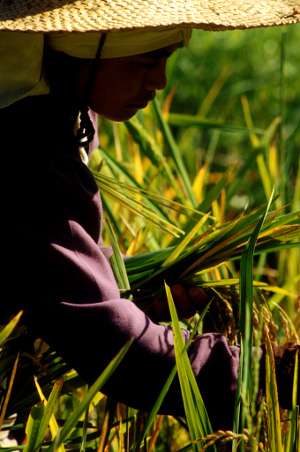 In rice the search continues, but will become easier now that markers for ZmMATE1 have been developed. Similarly, having validated, cloned and developed markers for PSTOL1 gene in rice, researchers at IRRI and JIRCAS then worked with researchers at EMBRAPA and Cornell University to use PSTOL1 markers to search for comparable genes in sorghum and maize. In both crops, genes similar to PSTOL1 have been identified and shown to improve grain yields under low-phosphorus soil conditions, albeit through different mechanisms. The GCP-funded discoveries are already being used in marker-assisted selection in national breeding programmes in Brazil, Kenya, Niger, Indonesia, Japan, The Philippines and USA in sorghum, maize and rice. They have led to the release of new, aluminium-tolerant sorghum varieties in Brazil, with more currently being developed, along with phosphorus-efficient rice varieties. 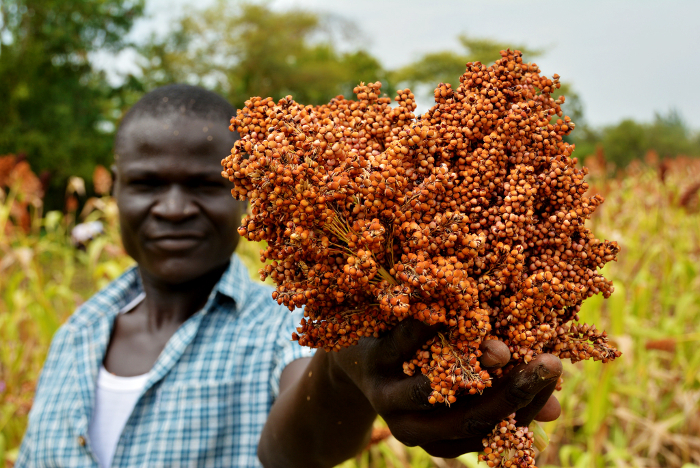 Showing off freshly harvested sorghum in Kenya. Gene cloning was a relatively small cost in GCP’s research budget – about five percent (approximately USD 7 million) of a total research budget of USD 150 million spread over 10 years. The gene-cloning component nonetheless yielded important genes for aluminium tolerance and phosphorus-uptake efficiency, within and across genomes. The molecular markers that have been developed are helping plant breeders across the world produce improved crop varieties. Jean-Marcel Ribaut, Director of GCP, concludes: “The new markers developed for major genes in rice, sorghum and maize will have a significant impact on plant-breeding efficiency in developing countries. 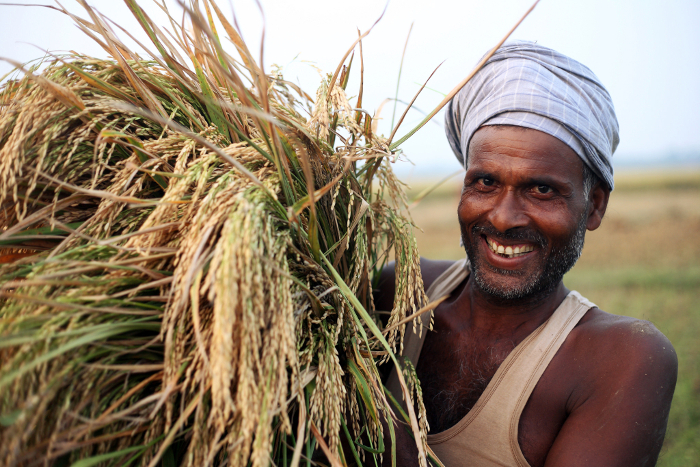 A rice farmer in Bihar, India.